Get the security you want at a price that’s just right for you. Customise your package today with no up-front costs! Our highly skilled Rapid Response Team utilizes best-in-class technology to keep you safer and more secure. Stay in the know with our real-time SMS alerts. Plus, enjoy remote panel activation straight from your mobile phone. 24 hours a day. 365 days a year. We work round the clock ensuring you and your loved ones feel safe and stay that way. Control Unit – This device equipped with keypad acts as your main interface for all of your system’s hardware. It allows you to arm and disarm security, access recent notifications and activate commands via voice prompts. 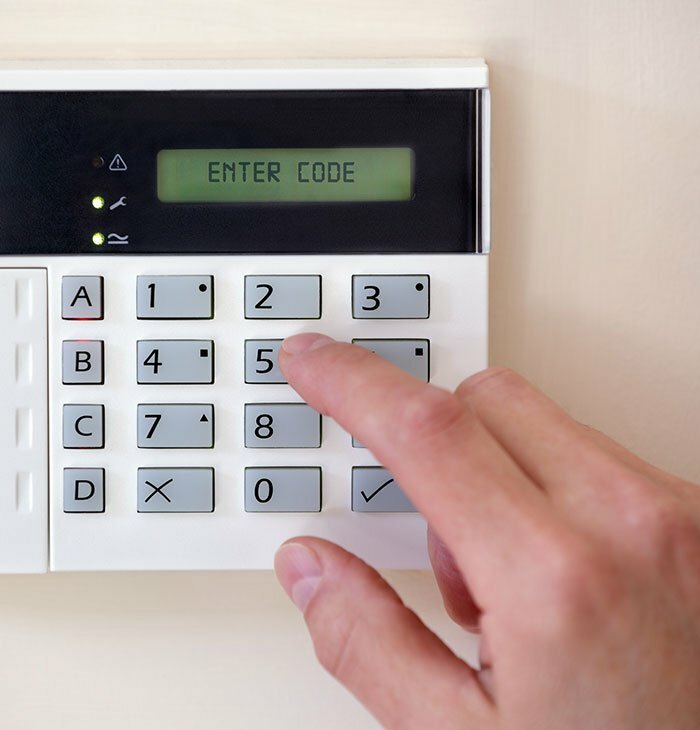 In cases of unwanted tampering or sabotage, an alarm is sounded and the event is recorded. Magnetic Contacts – Triggers the alarm system if a secured door or window is opened while the security system is armed. Motion Sensors – This device is used to monitor open areas of your home/business. Eg) Hallways, Foyers, etc. The sensors can be triggered by movement in both daylight and at night. The “Bypass” option on the motion sensors allows you to walk freely around your home/business without triggering the alarm. Key Fob – This 4-button miniature transmitter is designed to arm and disarm the security system wirelessly as well as to activate emergency signaling. It can also access the control unit, home automation and remote control applications. OTHER ADD-ONS INCLUDE: CO Detector, Two-Way Key Fobs, Temperature Detector, Two-Way Key Pad, GSM/GPRS Modules, Flood Detector, Gas Detector, Curtain Detector, Outdoor Siren, Indoor Siren, Smoke Detectors and Remote Commander. OTHER ADD-ONS INCLUDE: CO Detector, Two-Way Key Fobs, Temperature Detector, Two-Way Key Pad, GSM/GPRS Modules, Flood Detector, Gas Detector, Curtain Detector, Outdoor Siren, Indoor Siren, Smoke Detectors, Remote Commander and Medical Alerts.